The security and safety of your child is of the utmost importance to you and to the daycare’s caring for your toddler or infant during the day. During a daycare tour, be on the lookout for the security measurements in place at the facility and be sure to ask for more information if needed so you feel secure in leaving your child there while you are at work. A daycare in Kenosha is likely to use one or multiple of the following security measurements to ensure all of the children in their care are protected and safe. You will want to know how visitors, parents, staff and children gain access to the daycare through the front door of the building. 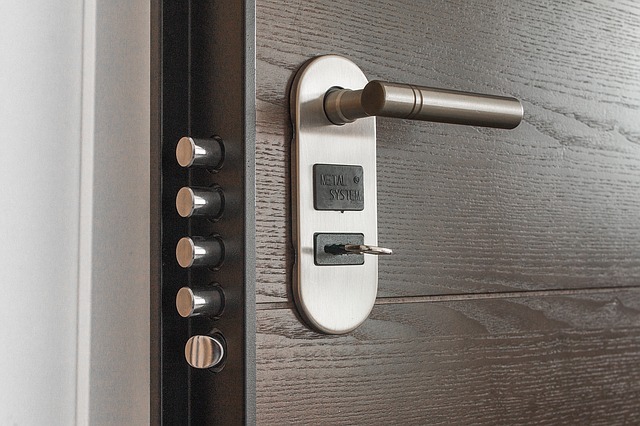 The best option for security is a keypad that requires a code for entry. This type of security will require parents to remember a secure code assigned to them to allow them to enter the building to dropoff or pickup their child. This will then also record everyone that enters and leaves the building, including the exact times and duration of the stay. Another common system is a buzzer to allow entry. Parents and visitors must knock on the front door or buzz the communication system. Staff will then monitor them via video or behind a closed glass window or door and approve entry or deny it if the visitor is unexpected or unknown. Be mindful during a daycare tour whether a staff member is with you at all times. While you might prefer to wander and tour a facility on your own, that is not in the best interest of the safety of the children currently in attendance. A good sign of a safe daycare is if a staff member remains by you the entire duration of the tour. Consider it a warning sign if you are left alone for a long period of time during the tour. Where does the daycare receive deliveries? If it is in the front door then the delivery driver should need to go through the same process as parents and other visitors in order to enter the building. If deliveries are received in the back door then the daycare should not leave the back door unattended or leave the door propped open during the delivery. All visitors and delivery men should be accompanied by a staff member at all times. Pay attention to whether there are smoke alarms and CO2 alarms throughout the child care center. Daycares must undergo constant inspections for safety measurements but diligence from parents and guests touring the facility cannot hurt either. Pay attention to whether the windows in the daycare are locked or left open. An intrude can access a child care center via the windows too. Access from outside the building should always require the visitor to come in through the front door under the guidance of a staff member at the daycare. We recommend you are 100% comfortable with the security measurements in place at the Kenosha daycare or preschool you choose for your child. Safety comes first and if the facility is not properly prepared to monitor all incoming and outgoing people at the facility then you will want to consider an alternative location for child care.